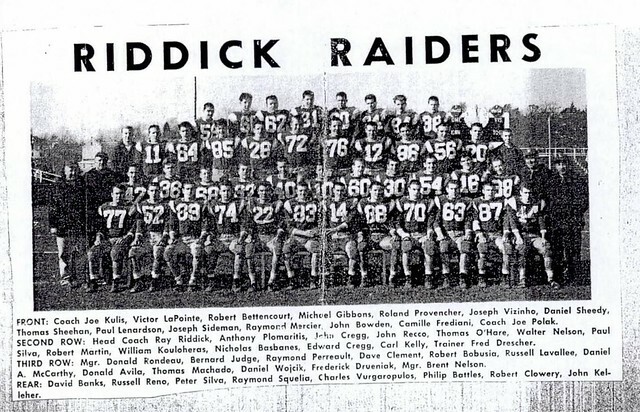 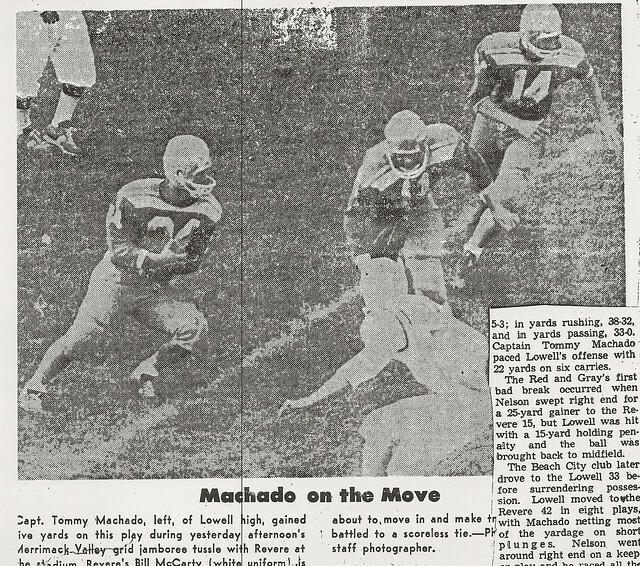 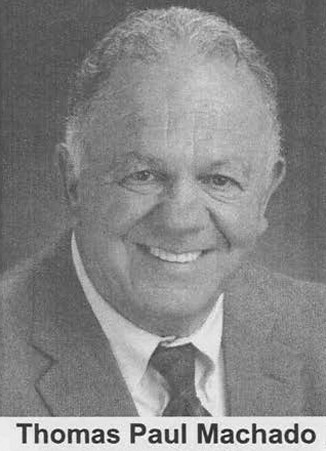 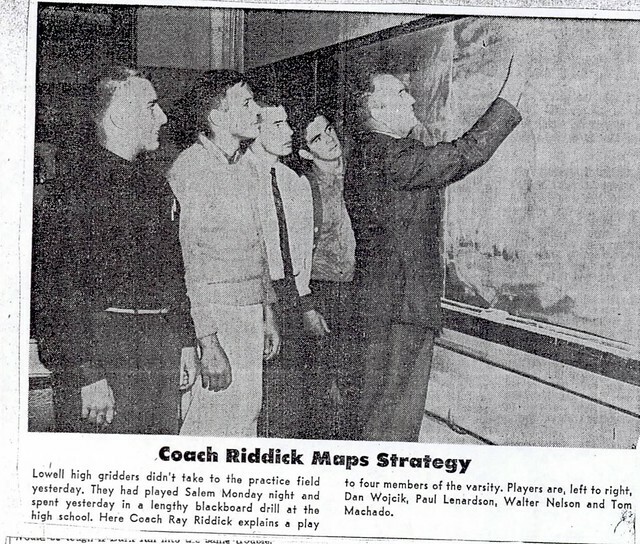 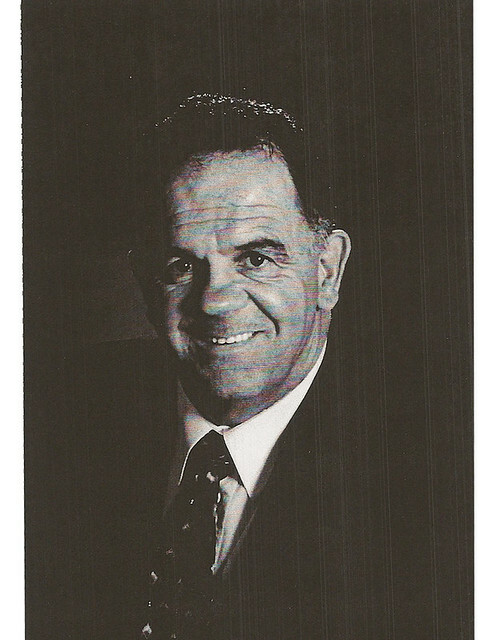 One of the most rugged and hard-working players for legendary Hall of Fame Coach Ray Riddick, Tom Machado earned his place among the pantheon of outstanding football stars of the golden era of Lowell High School football during the Riddick years. 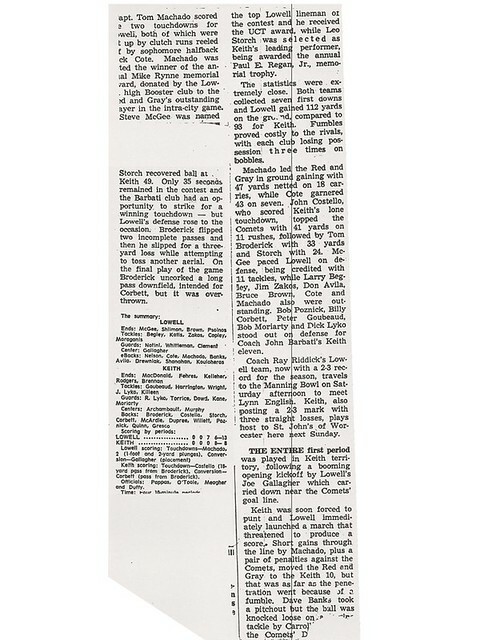 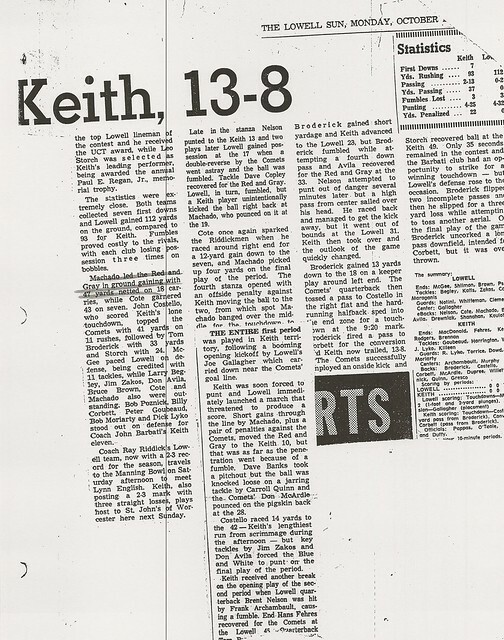 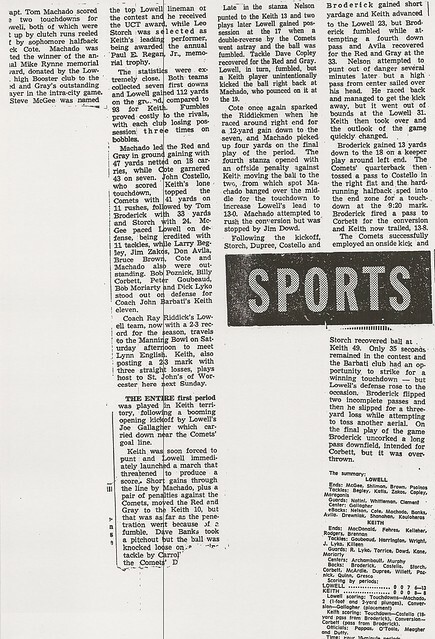 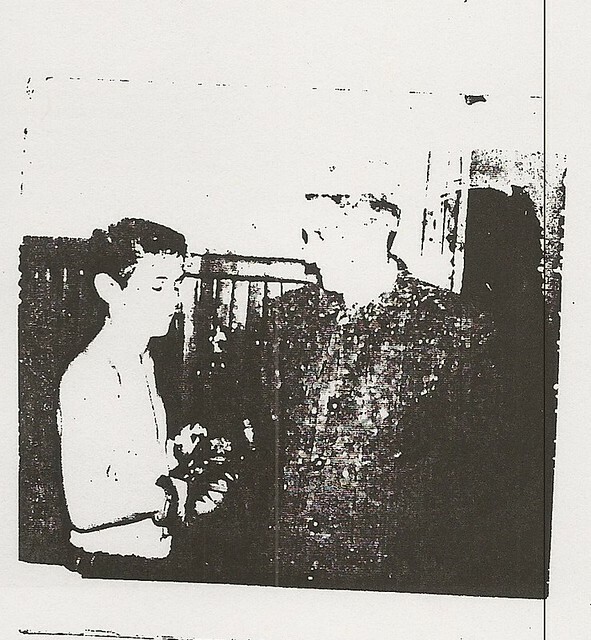 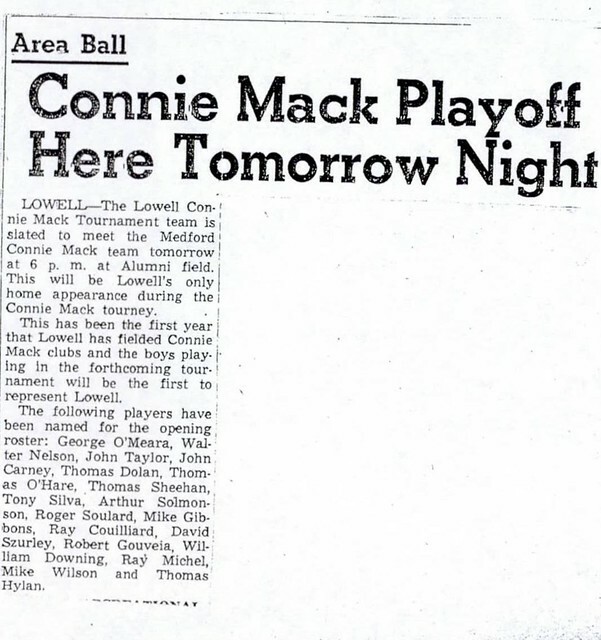 Tom was a solid defender and rebounder for the Red and Gray basketball team during the 1961–62 and 1962–63 seasons in the always-tough Greater Boston League, but it was on the gridiron where he shone brightest. 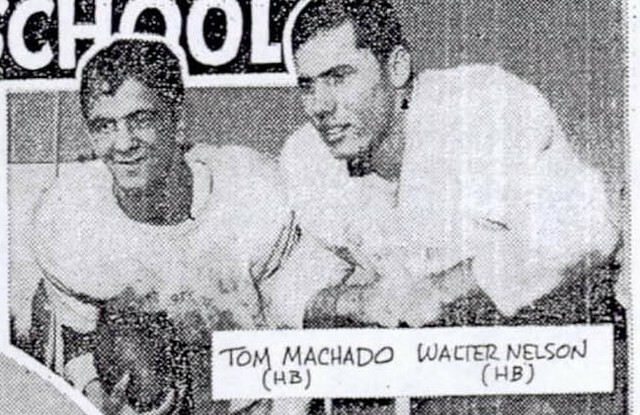 A three-year varsity performer, Tom was a two-way regular at halfback and linebacker during the 1961 and 1962 seasons. 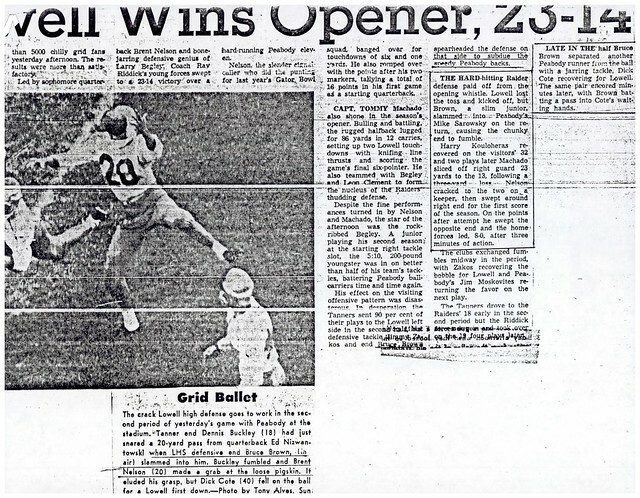 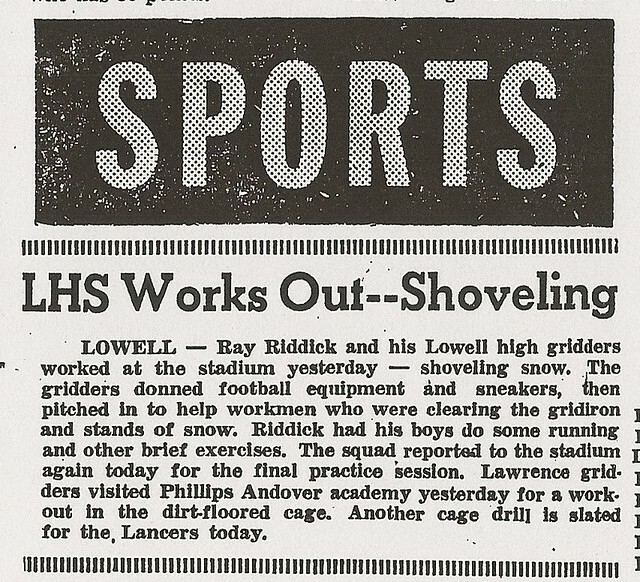 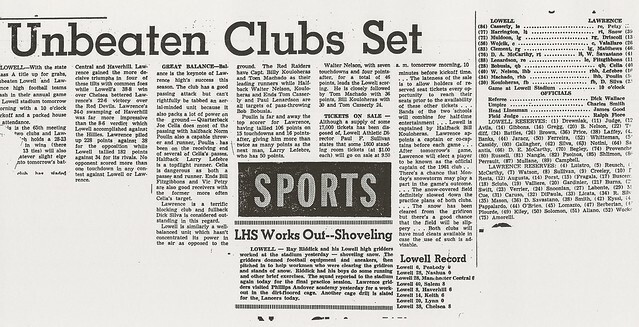 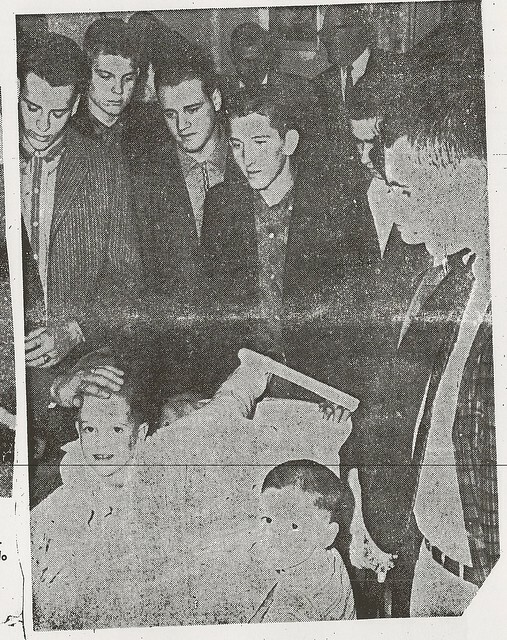 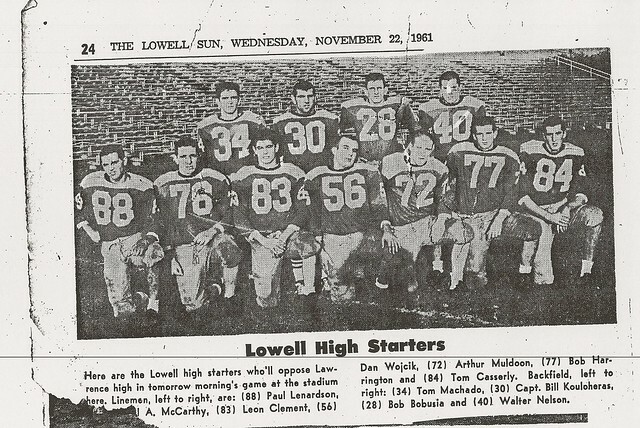 As a junior in 1961 Tom played an integral part in one of Lowell’s best ever seasons, as the Red and Gray stormed to an 8–0–1 regular season record, culminating in a dramatic 6–6 tie with arch-rival Lawrence before a crowd of 18,167 fans at Cawley Stadium on Thanksgiving Day. 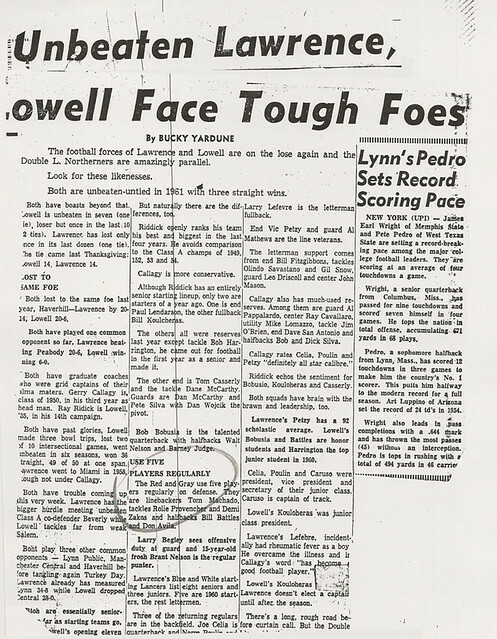 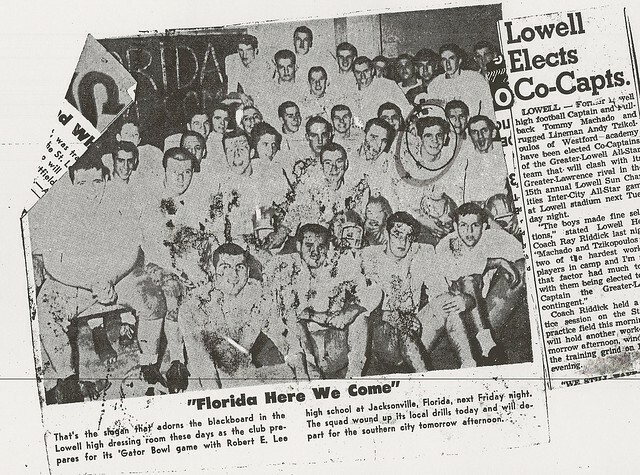 Lowell then traveled to Jacksonville, Florida, and faced Sunshine State powerhouse Robert E. Lee High School in a post-season contest in the Gator Bowl (a 14–0 loss). 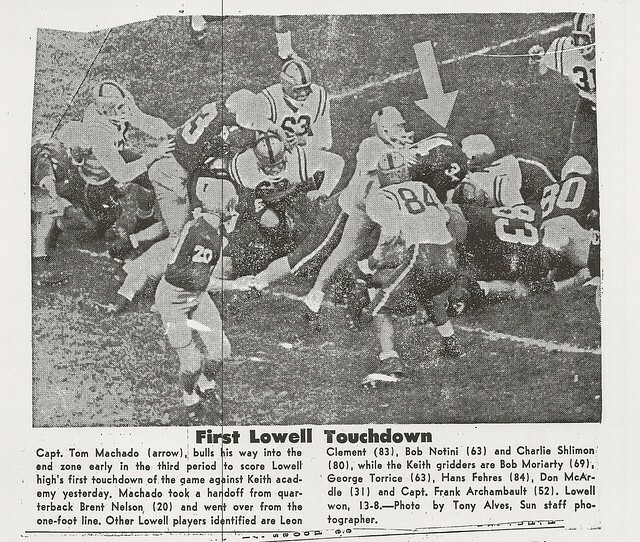 Tom was the team’s 2nd leading scorer, tallying six touchdowns and 36 points for the season. 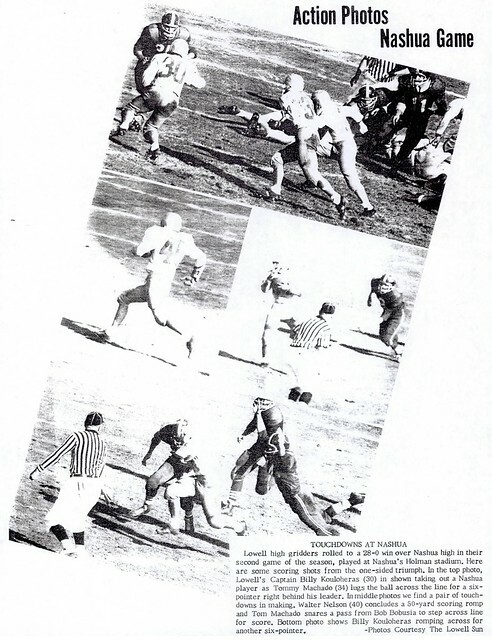 Tom scored two touchdowns in a 28–0 rout of Nashua and was named the Red and Gray game MVP against both Salem and Chelsea. 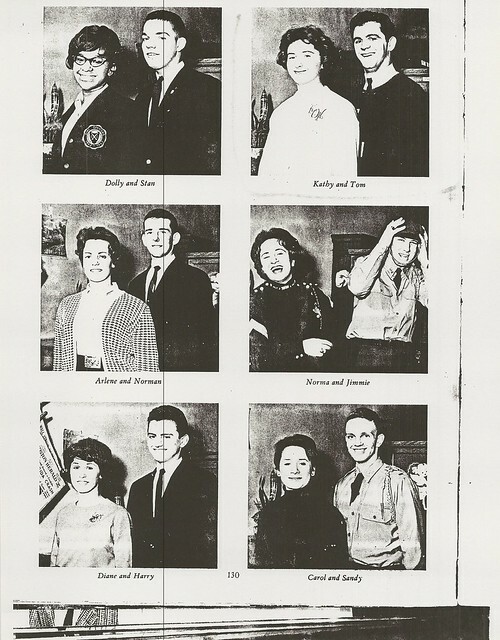 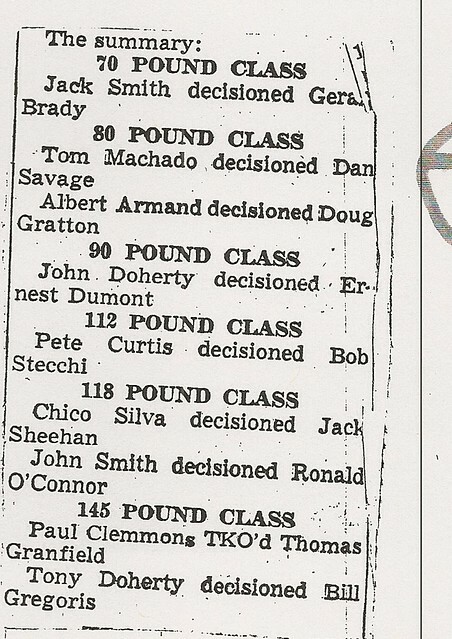 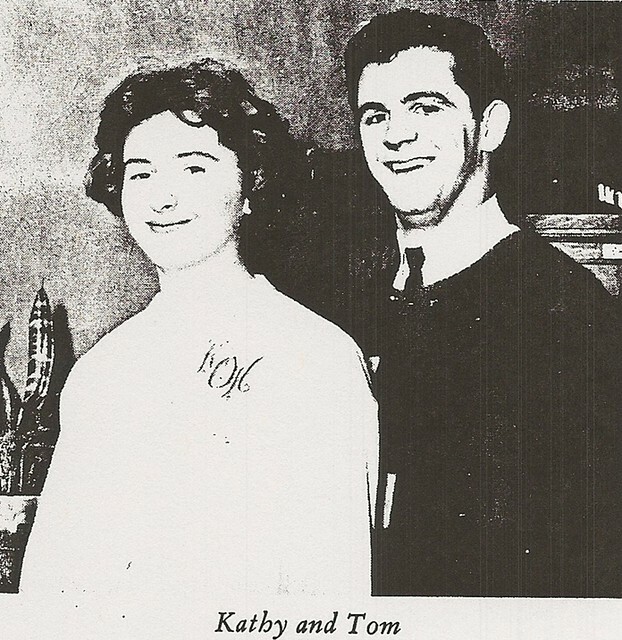 As a senior in 1962 Tom was elected team Captain. 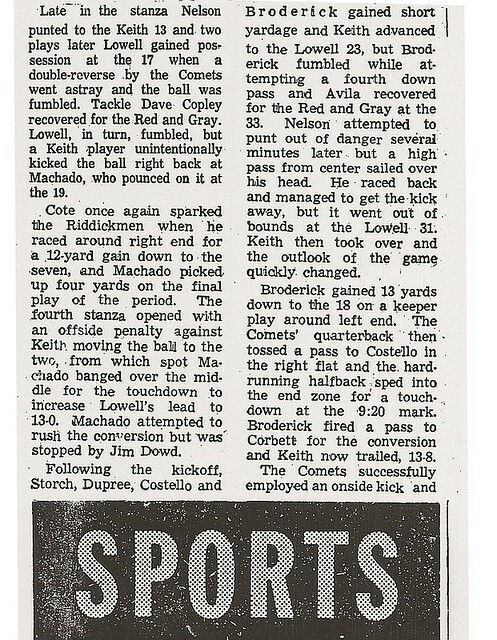 His veteran leadership on a young Red and Gray squad was a key factor in the team’s success. 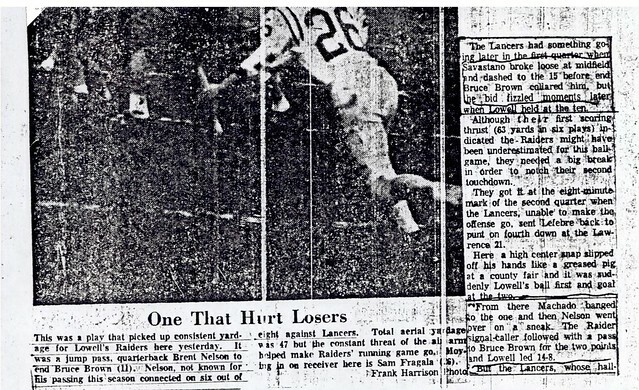 Tom led the Raiders with seven touchdowns and two conversions for 44 points. 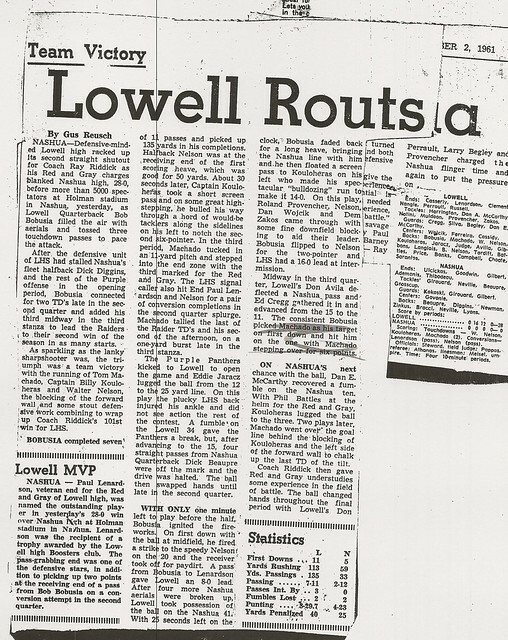 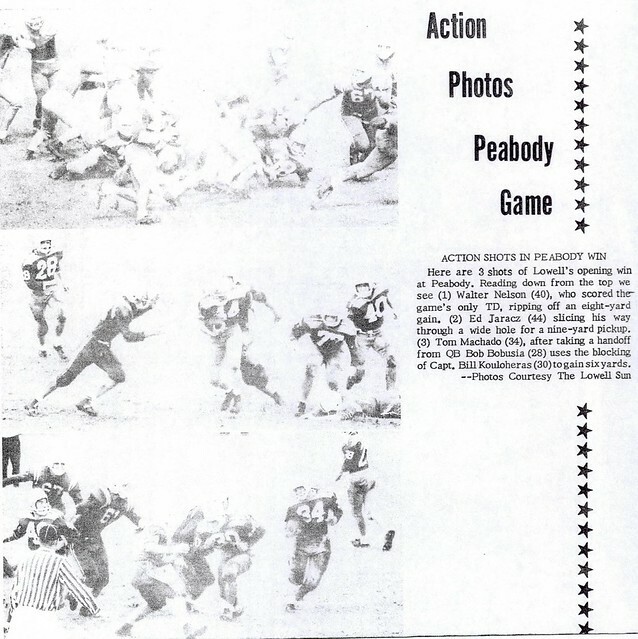 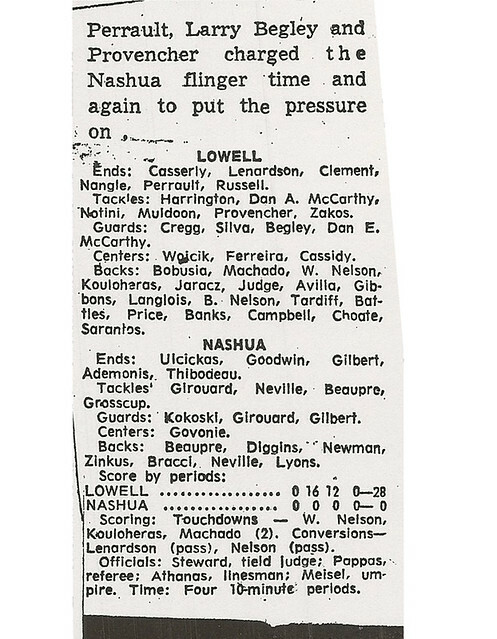 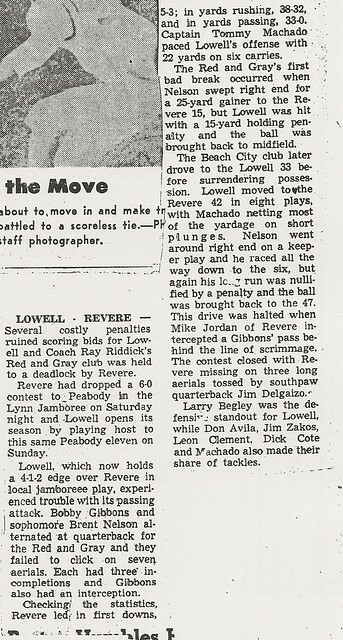 In the season opener against Peabody Tom led Lowell with 86 yards rushing and a touchdown as well as leading a determined Red and Gray defense in a 23–14 victory. 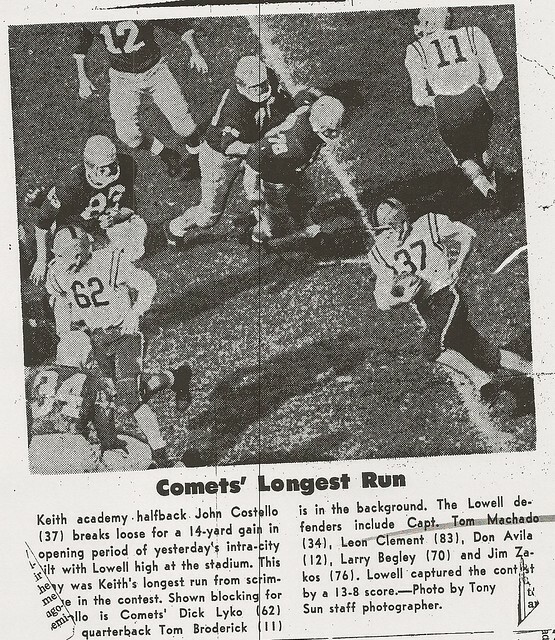 Tom culminated his senior season with a stellar performance against intra-city rival Keith Academy. 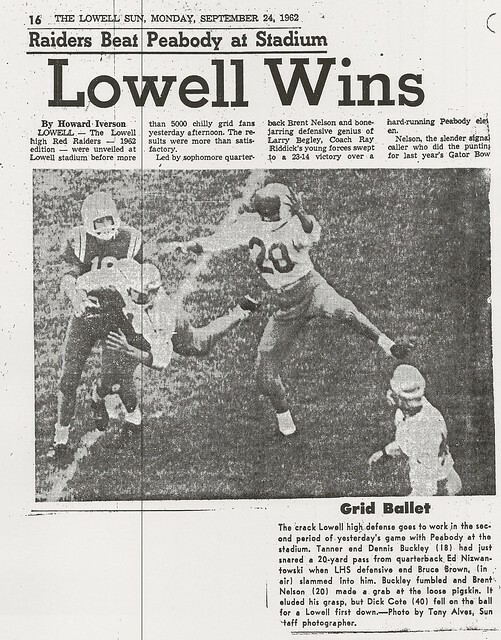 Tom led Lowell in rushing, recovered a key fumble and scored both touchdowns as the Red and Gray scored a 13–8 victory. 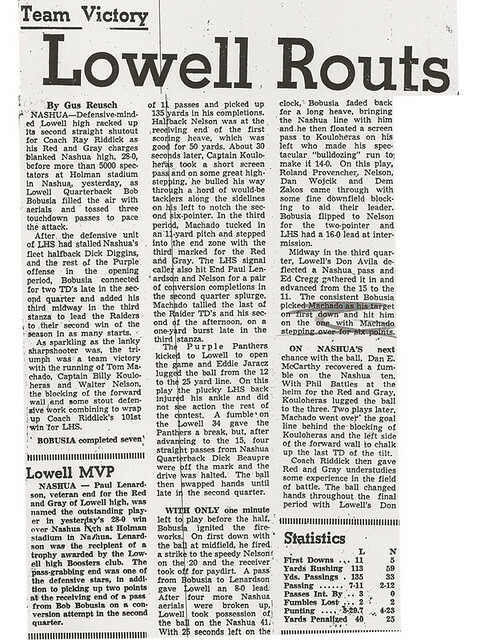 Tom received the Mike Rynne Memorial Award as the game’s outstanding player. 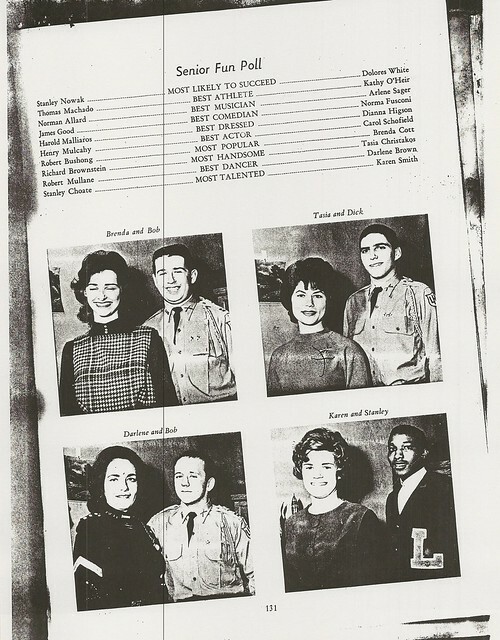 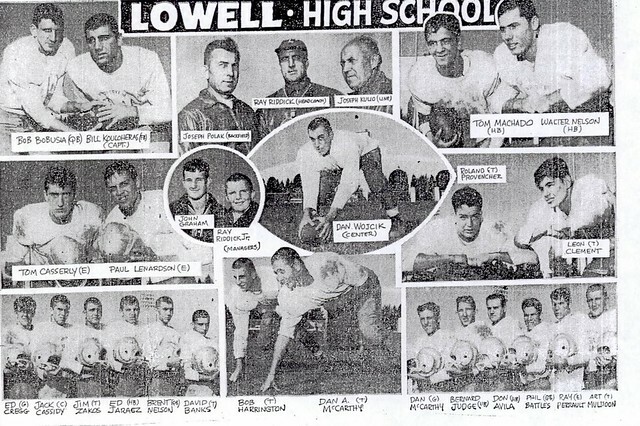 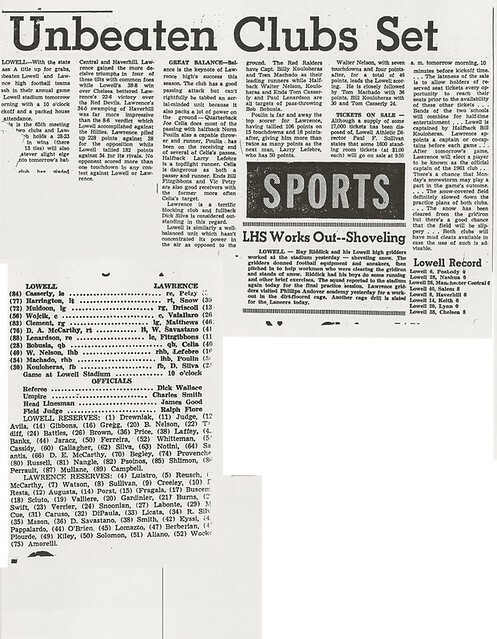 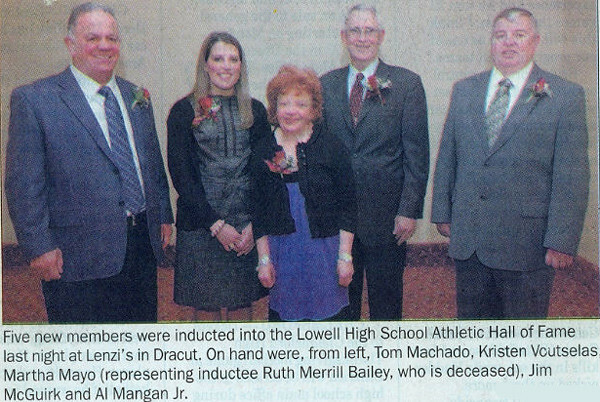 Tom was selected as the Outstanding Player on the 1962 squad as well as being voted as Lowell High’s Most Outstanding Athlete. 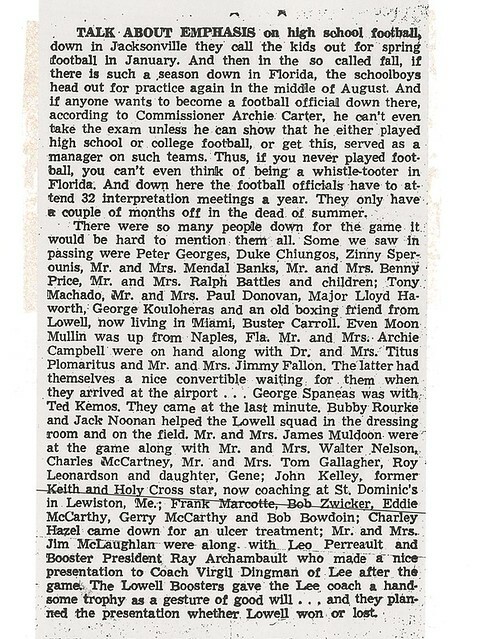 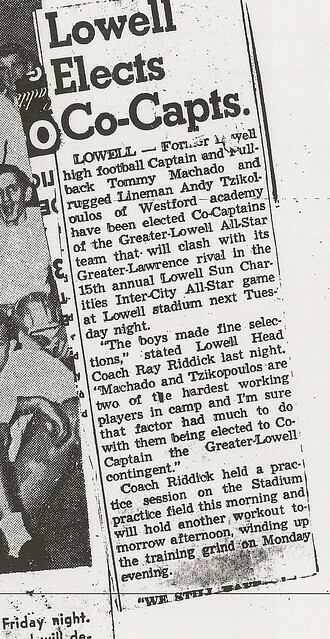 Tom was chosen as team Co-Captain for the Greater-Lowell squad in its annual summer battle against the Greater-Lawrence All Stars in 1963. 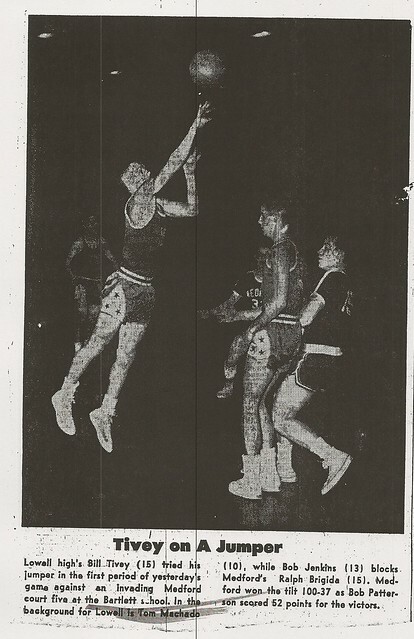 He also was named the game’s Most Valuable Player.